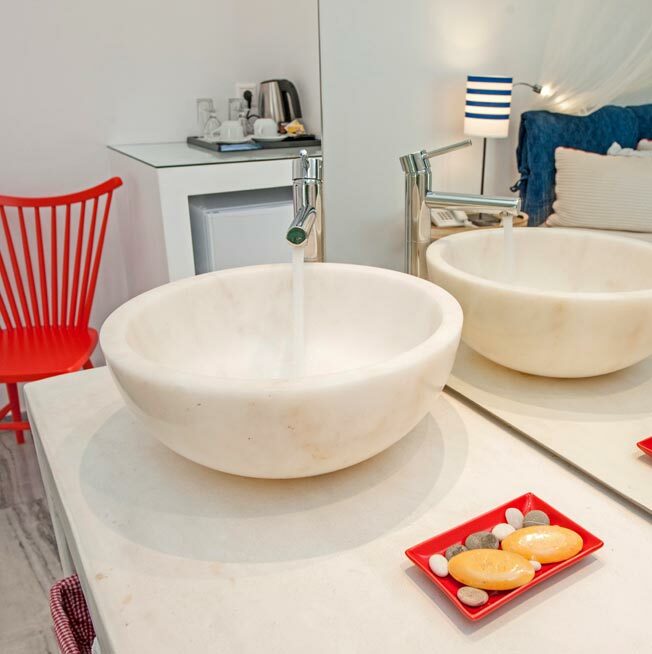 Newly renovated & designed for guests who appreciate the minimal Parian style, comfortably accommodating 2 persons. 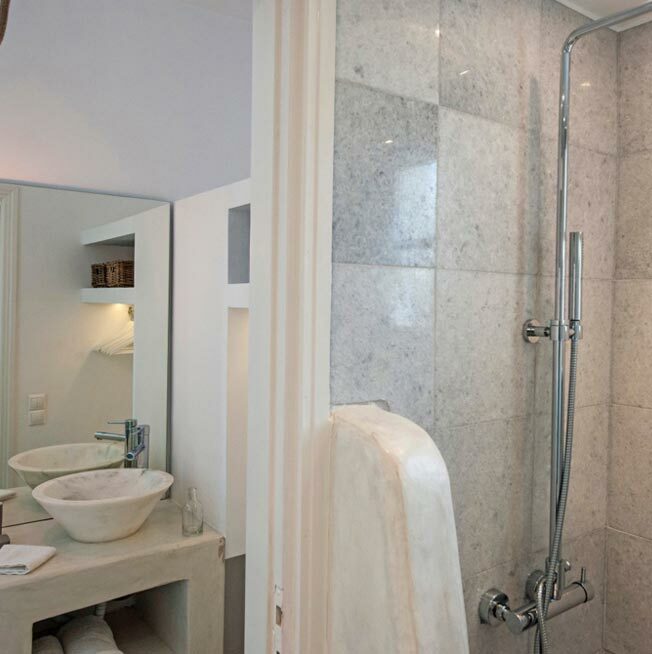 Decorated in muted tones of quite and earthy colors , each with its own marble bathroom and shower facilities. 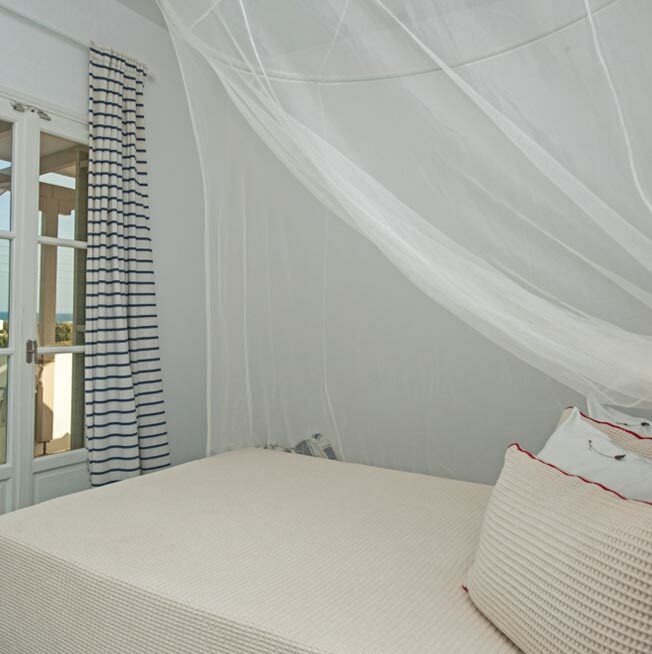 Bedrooms situated on the top floor of the main building and they have their own private large balcony with a panoramic unique view of the Aegean Sea, the country of Ambelas and Naxos island. 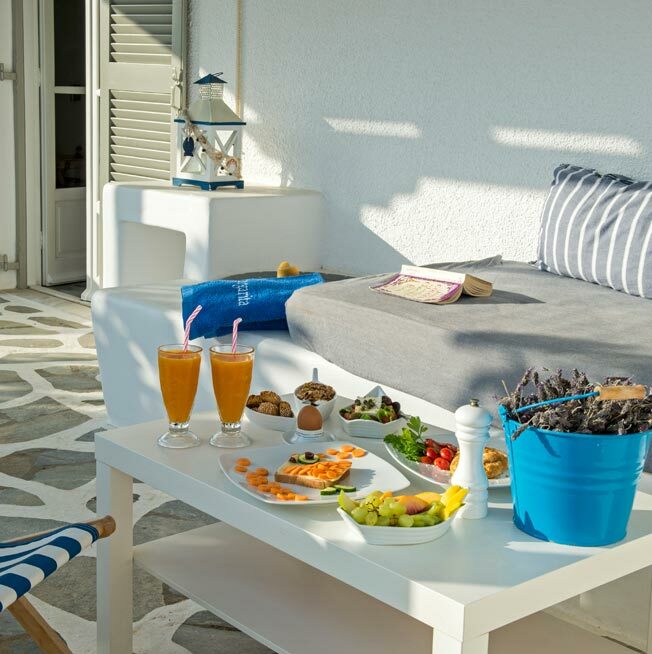 These rooms provide an unmatched level of personal comfort and indulgence, and they provide visitors of Paros with the opportunity to enjoy to the fullest the calm ambience of the island and its breathtaking sunrise! 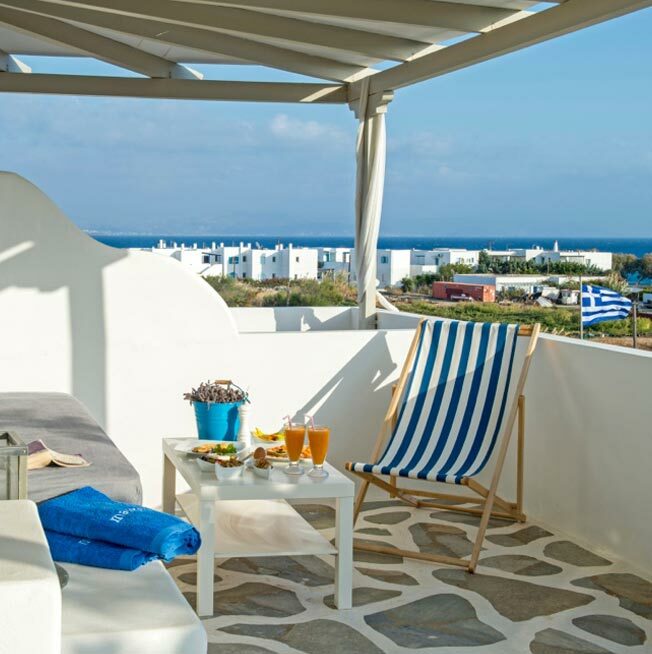 All rooms have their own private large verandas or traditional balconies. 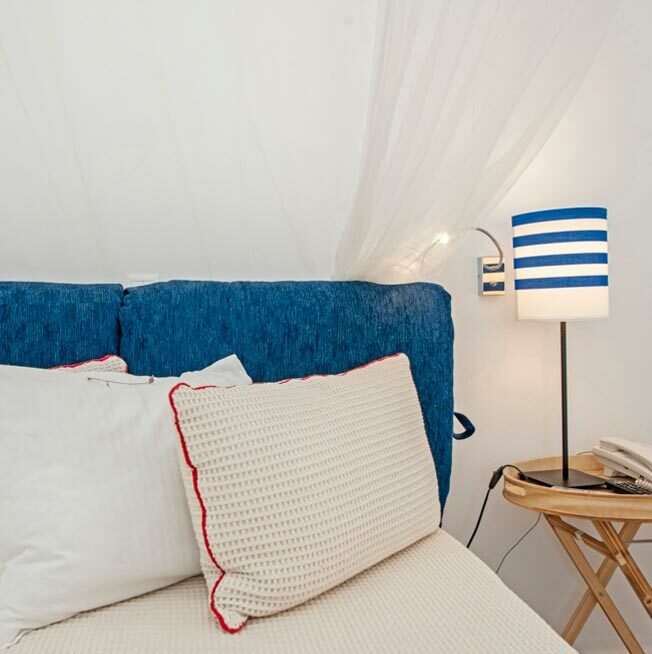 Guests have the choice of either 2 single beds or one Queen size bed, fitted with premium bedding by Elite Strom, a top quality Greek brand for sleeping systems. Individually controlled air conditioning 24 hours and that makes a great difference in the peak of the greek summer. If you are a couple or two friends sharing its deal for short or long stay. 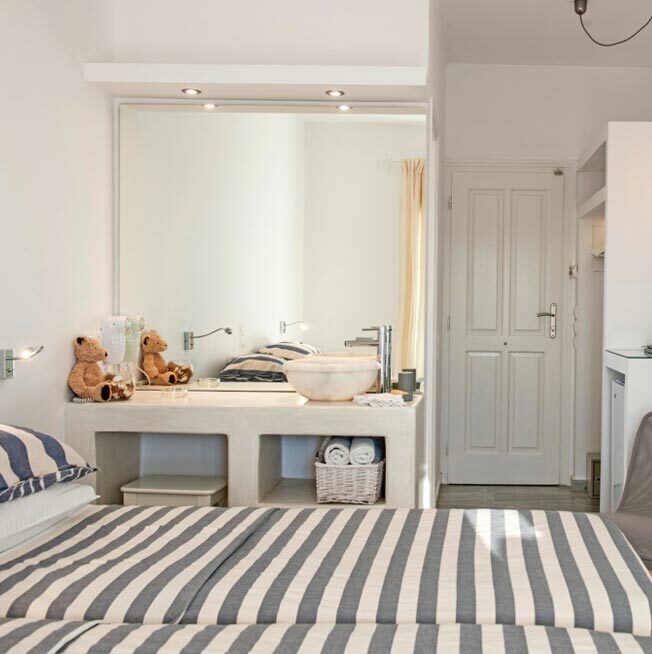 This room type combines comfortable beds and amazing panoramic sea view. For younger families: Mum and Dad can share with their child a double-bedded room, with an additional baby cot Free of charge. 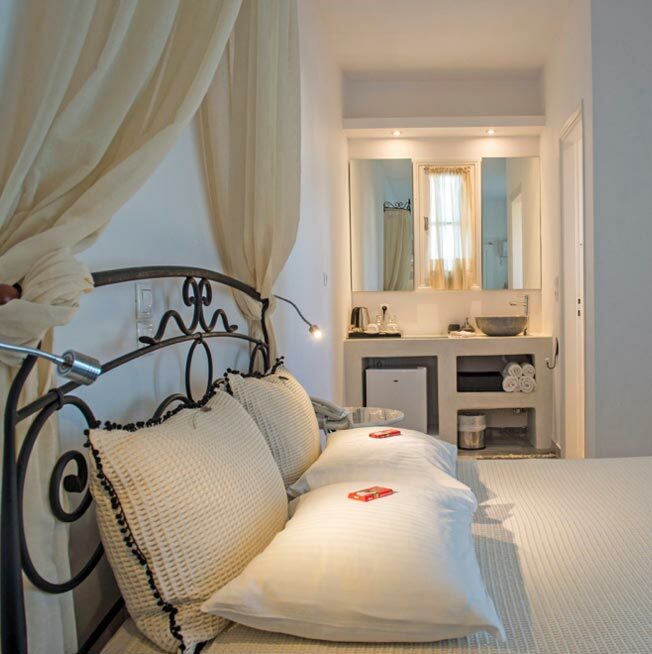 It is possible in some larger style double rooms to add a rollway bed for an extra Extra bed: 13 euros (all season), for your comfort we would recommend stepping up to a larger room type. Upon arrival you can ask for a different room from the one you have booked: if there are rooms available, we will be happy to change it. Ask for a massage, order room service and enjoy the double room as if it's a real suite.